These are super quick and easy, and a favorite in our household! 1. Mix peanut butter with as much protein powder as you need to create a dough. 2. 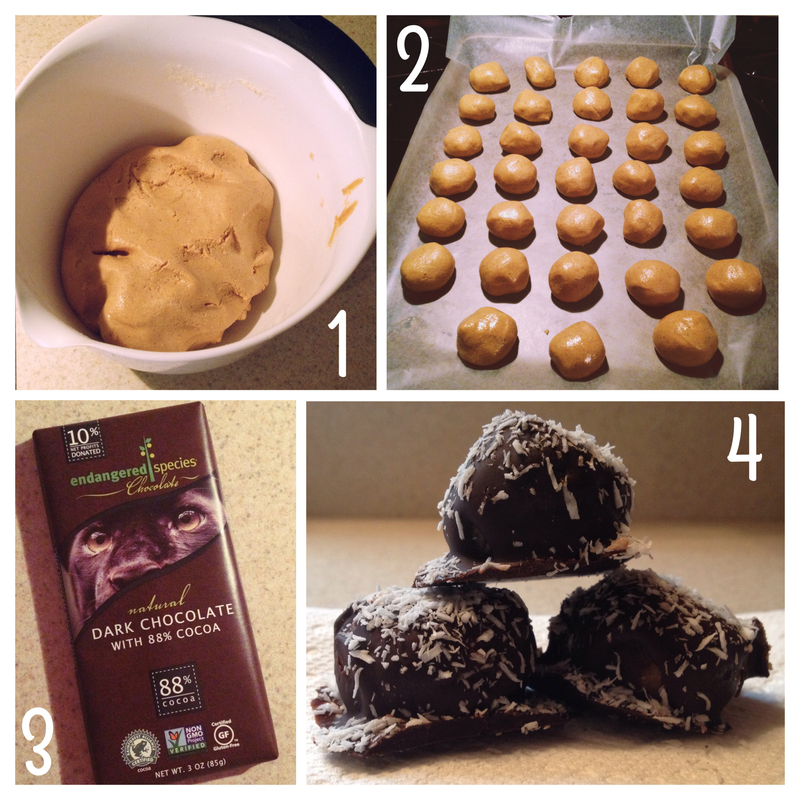 Roll the dough into bite-size balls. Place them on wax paper on a baking sheet, and refrigerate for at least 30 minutes. 3. Melt the dark chocolate over low heat. Spoon over the chilled balls or roll them in the melted chocolate. 4. Sprinkle with coconut flakes (if desired). Keep them refrigerated!